The amount of treatment is dependent on the nature of the condition. When you make an appointment to see a Chartered Physiotherapist, the first visit will mainly comprise of the Physiotherapist establishing the exact cause of the problem. At the end of this visit, your Physiotherapist can estimate the number of treatments it will take to resolve your problem. 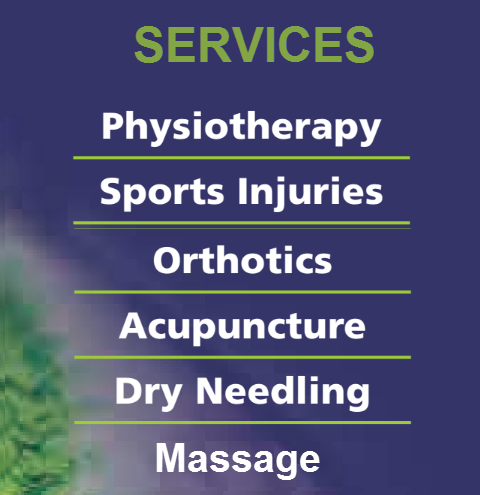 Our chartered physiotherapy and sports injury sessions last between 30 and 60 Minutes depending on the nature of the problem. WE KNOW THAT ORTHOTICS ARE EXPENSIVE AND WE WOULD NOT PRESCRIBE THEM UNLESS ABSOLUTELY NECESSARY. VERY OFTEN OFF THE SHELF ORTHOTICS WILL SUFFICE WHICH ARE A MUCH LESS EXPENSIVE OPTION. THE ABOVE PRICES ARE EFFECTIVE FROM OCTOBER 17, 2016 AND ARE SUBJECT TO CHANGE, WITHOUT NOTICE. *Discounts can only be applied at the time of treatment and cannot be given in respect of previous treatments. Will my health plan insurance cover physiotherapy? FEES for physiotherapy qualify for a refund under most Insurance schemes including VHI, LAYA HEALTH CARE, AVIVA AND AVIVA BACKUP PLAN. FIONA COLLINS IS APPROVED FOR IRISH LIFE HEALTH – BACK-UP PLAN.